*Sigh* You know that there’s people out there who take certain things as a sign, that something is happening, regardless of just how utterly reactionary that something might be. Radio 1 has a rock show just after the charts in the early evenings on Sunday! Royal Blood‘s debut was the best-selling rock debut in a few years! (regardless of just how flippin’ average it is as a record). Now look – Alt-J have got their sophomore album out! 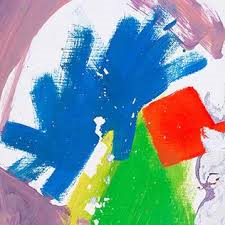 An Awesome Wave, Alt-J’s debut album, of a couple of years ago certainly had its’ moments. It won the Mercury, and whatever you think of it as an award (let’s face it, when they get it right we think it’s great, when they don’t we grumble) it’s the sort of publicity that helps a new band sell copies of their record. Now we have This Is All Yours – and the urge is to yell: is that it? No question: the band do play with different styles on the record – but that doesn’t make a record good in itself. The tracks that did the rounds before the record’s release –‘Every Other Freckle’ ‘Left Hand Free’ and ‘Hunger Of The Pine’ are okay, but nothing actually terribly special. And over the course of the whole album – after several plays – that same feeling lingers. It may have been talked up as one of the big releases of the autumn months, and it’s not a bad record, it’s just deeply, deeply average.